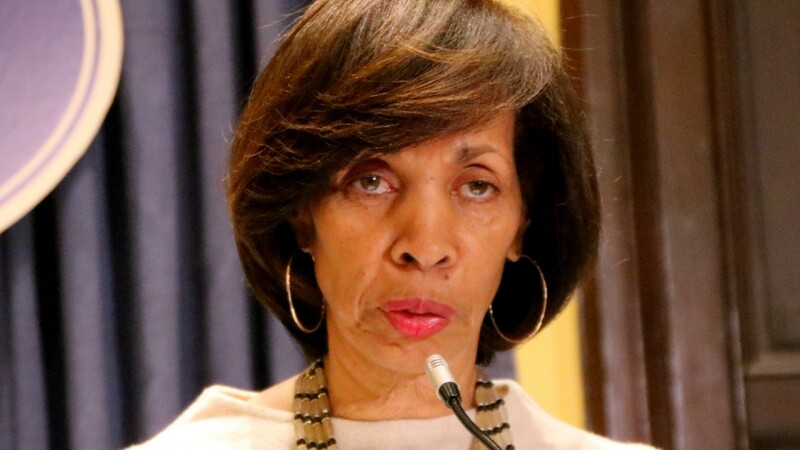 As the “Healthy Holly” book scandal deepened today – leading Baltimore Mayor Catherine Pugh to announce a leave of absence effective tonight citing health reasons – public officials began calling for her resignation, including the first from inside City Hall, Councilman Zeke Cohen. “Mayor Pugh has lost the moral mandate to govern,” said the 1st District representative, posting a statement on his Facebook page. He joins Maryland Comptroller Peter Franchot, who earlier today called on Pugh, a fellow Democrat, to resign. Baltimore politicians, including City Council President Bernard C. “Jack” Young, who will become ex officio mayor at midnight tonight, have been silent about the self-dealing scandal focused on Pugh as a board member of the University of Maryland Medical System (UMMS). While expressing “concern,” none had previously called Pugh out by name for receiving $500,000 in UMMS payments for her self-published “Healthy Holly” books until this evening. Cohen has been viewed as a possible 2020 mayoral contender. Hours before his statement, Comptroller Franchot called for Pugh’s resignation. “The people of Baltimore are facing too many serious challenges, as it is, to also to deal with such brazen, cartoonish corruption from their chief executive,” Franchot wrote on his Facebook page. Gov. Larry Hogan, meanwhile, has formally asked the Maryland State Prosecutor to begin a criminal investigation into Pugh’s book deals. Pugh’s spokesman James E. Bentley II announced the mayor’s leave in a statement attributing the decision entirely to health concerns. The clamor followed reporting by the Baltimore Sun today indicating that Pugh accepted payments for the “Healthy Holly” books not just from UMMS, on whose board she has been a member for years, but from other entities. Kaiser Permanente confirmed that since 2015 it has purchased and distributed 20,000 “Healthy Holly” books at a cost of $114,000. Also swept up in the controversy today was Associated Black Charities (ABC). Between 2011 and 2016, five organizations donated $87,180 to ABC to pay for 10,000 of the books, according to a statement the Baltimore-based foundation released. One of those organizations was reportedly CareFirst BlueCross BlueShield, which the Sun said confirmed it gave ABC $14,500 to pay for 2,000 “Healthy Holly” books in 2011 and 2014.